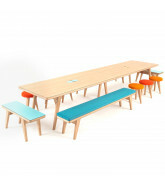 James Burleigh has been designing and making furniture for over 20 years. 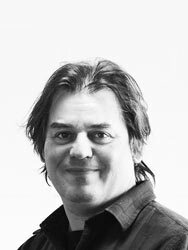 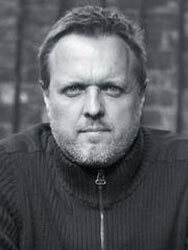 In 2012 he relocated from a small design studio to an industrial unit in London NW10 in order to fully harmonise the design and manufacturing processes. 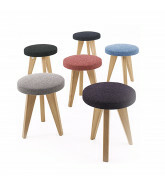 James Burleigh’s aim is to create products that are not only functional but also aesthetically pleasing and sustainable. 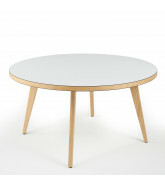 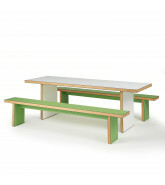 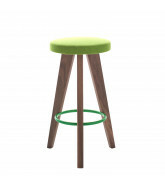 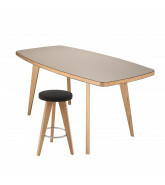 The core elements of his range of tables and benches number just three components that can be sourced responsibly: timber from PEFC or FSC registered suppliers, laminate from Green guard certified companies and water based adhesive and lacquer. 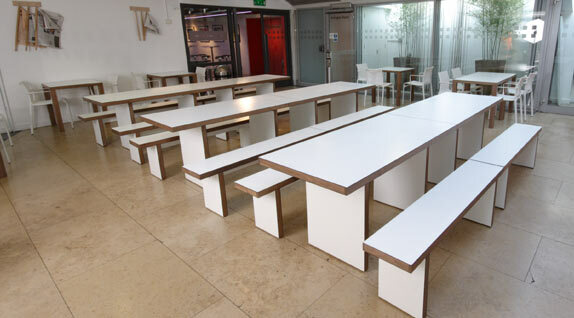 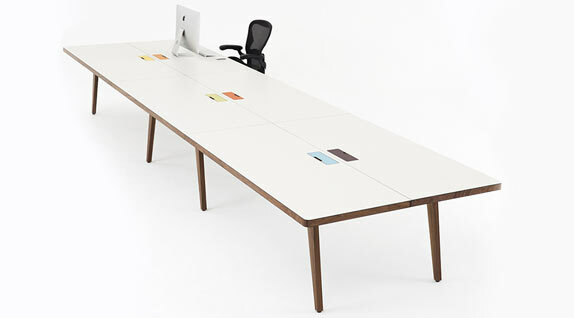 With their distinctive hardwood edges capped by laminate the tables and benches are suitable for most environments. 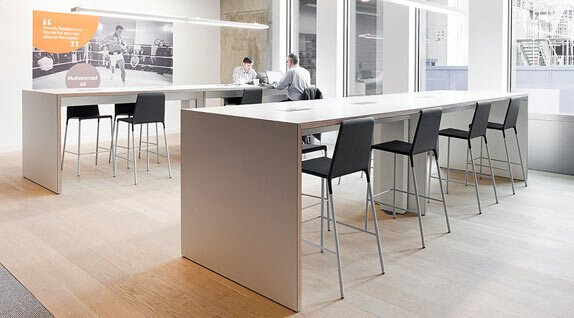 Clients express pleasure at the diversity of the range - the various leg options, extensive palette of colours, height and length span – as this enables them to become involved in a very direct and satisfying way with the procurement experience from start to finish.